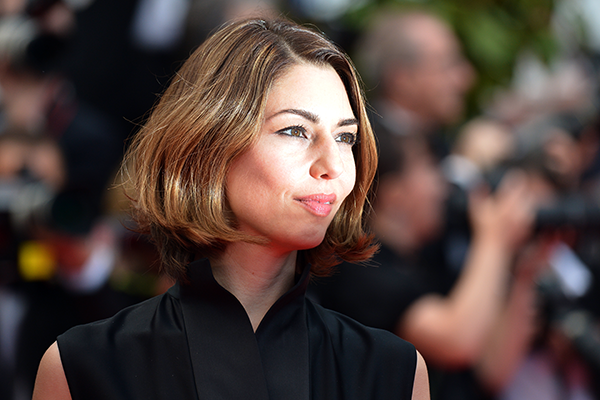 INTERVIEW - Sofia Coppola: "Music inspires me and influences my films. It breathes soul into them". After rising to fame in 1999 with The Virgin Suicides, four years later Sofia Coppola made the Oscar-winning Lost in Translation (Best Original Screenplay), confirming her intention to remain behind the camera. After the decidedly more mainstream Marie-Antoinette (2006), Somewhere (2010) was honoured at the Venice Film Festival, winning the Golden Lion. In 2013, the American director opened the Un Certain Regard selection with The Bling Ring. A member of Jane Campion's Jury, she told us about her love of film and her vision of cinema. How would you define your relationship with cinema? Cinema has always held a very important place in my life. I grew up on movie sets with my father, who is also a big movie buff. He has always been very enthusiastic about film and introduced me to movies from around the world when I was a child. Thanks to him, I discovered the works of filmmakers from the French New Wave, the films of Italian neo-realism, and directors like Kurosawa. Very early on, I was lucky enough to watch movies that have marked the history of cinema. Most of my family works in the film industry and now, I also make movies. I guess it is a logical extension of all this. Are you still as much of a film lover today? Yes, I love watching movies. It's one of my greatest pleasures. Paradoxically, it wasn't a director or movie that led me to make my first feature, The Virgin Suicides, but a book. But many films and filmmakers have influenced me. I think the movie that struck me the most when I was a teenager was À Bout de Souffle (Breathless), by Jean-Luc Godard. People who know you well say that you have always been a very visual person. Does directing come naturally to you? First and foremost, I love cinema for its role as a visual medium. What interests me most is telling a story and portraying my characters in images. Film also enables me to express myself as a person. Perhaps this is why I am so comfortable behind the camera. Also, when I was a child I was always telling others what to do, so I guess it's no coincidence that I chose this profession! I must have been made for it. You worked in photography and fashion before coming to film. In your opinion, is it the most complete form of expression? To me, they are closely related. It is creativity that connects all three. All artistic disciplines involve creativity. In each case, the artist's goal is to try and show the public what he or she has in mind, whether through an object or film. Cinema, however, remains the most exciting and rewarding medium for me. What has photography contributed to your work? I have always loved photography. I used to collect pictures that I found interesting or that made an impression on me. I wasn't very talented in this field but I learnt a lot through doing photography. I am still inspired by the work of photographers. Their influence is omnipresent when I start writing a film. What I learnt through photography helps me a lot with directing. I love photographers who are very connected to their subject. Is every new movie a challenge for you? Very much so. I don't do anything that isn't a challenge, that doesn't pose some difficulty for me. I like to take a path that I have never explored before, so I can learn. I also think that filmmakers can always discover something new about themselves when they make a movie, even if it is sometimes very unconscious. I always work on things that I want to understand. Music is an integral part of your films. It is never just there to support the plot. Why is it so important? In my opinion, music is one of the key components of a movie. It contributes to the atmosphere that we want to translate on screen. I also listen to lots of music when I'm writing a script, and the music in my films often comes to me at that time. So on the whole, it comes to me very early in my creative process. It inspires me and influences my films. It breathes soul into them. Fourteen years have passed since The Virgin Suicides. What do you think now when you look back on the movie that made you famous? It's been a long time since I last watched it. It's funny to see its success today because when it was released in the U.S., it wasn't shown in many cinemas and hardly anyone saw it. I am always very surprised when young teenagers come and talk to me about it and tell me how much they love the movie. They probably weren't even born when it came out! I'm so pleased that this new generation can connect with the film and identify with it. What is your view of American cinema? I take great pleasure in being here in Cannes and seeing movies from all around the world, which are very diverse. In America, we are currently in a very conservative period. It's very hard to make original films, to stray from the norm. There is nothing very unique about American films at the moment. Hollywood is still very powerful, and the industry is currently very attached to making films that will be a success.